In June 21st 2013 I arrived at Camp Baco. For the last 7 years I have been traveling from Israel, where I live most of the year, to Upstate New York in the center of the Adirondack park, to head the art program in camp Baco for boys. 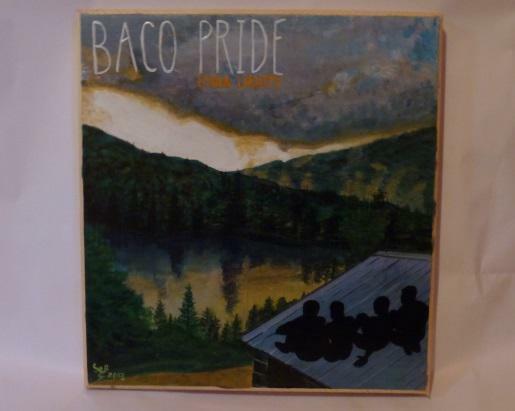 Baco is the summer home of 200 or so young boys ranging from age 7 to 16 and their 100 staff mostly young men aged 17-60, with one female counsellor (me), a camp MOM, 2 office women and kitchen staff. Alongside their sister camp Chenawah owned by the same Wortmans, Bob and Barbra. Arts and Crafts stayed very busy throughout the summer and even as we were packing up the workshop, the kids and the counsellors remembered they didn’t get a chance to do something and “just one more thing” was what we heard a lot. There is always next year. 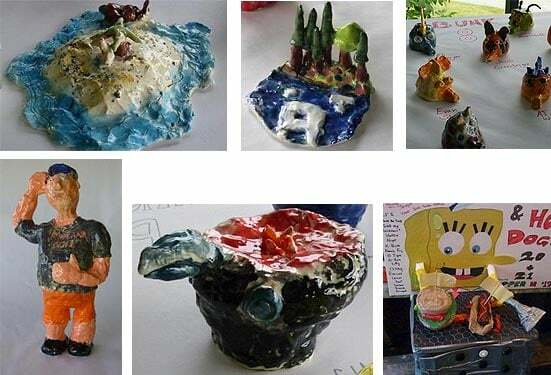 Besides Arts and Crafts Camp Baco for boys is a very sport oriented camp, the activities are based on all ball games and water activities: swimming, sailing canoeing so the boys stay very active. We also try to get them interested in music, drama, hiking and art. In the last week of camp we have a 4 day competition called Indian Olympics where the boys are divided into 4 tribes and colours: Blackfeet-Black, Apache-Red, Cherokee-Green and Oneida blue, the tribes compete in the different games, pioneering and arts and crafts. We create 5 different projects for the 5 levels of the tribe: Chief, Medicine Men, Worriers, Hunters and Braves, using various materials befitting every project. The height of the events is called the Apache relay and the bucket brigade to finish off the events of the 4 days there is a sing, where the 4 tribes sing their songs cheers. Love the website. Camp Baco is so fortunate to have you. You are the best! Here’s to the Summer of 2014! Thanks Barbra, I am lucky to have Baco for the summer My life would not be sweet as it is without those Baco boys!